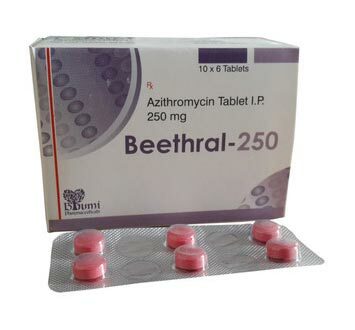 Made from superior-grade Active Pharmaceutical Ingredients (APIs) and ultramodern technologies, our Azithromycin Tablets are very effective, safe to consume (as per direction of physician) and compositionally accurate. We make them available at economical prices for our customers. 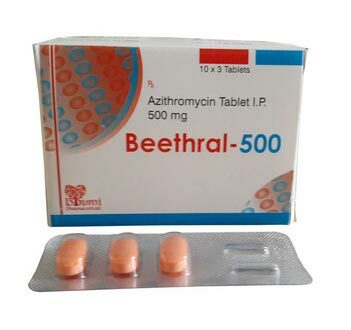 Besides, our Azithromycin Tablets can be packaged as per requirement of customers. 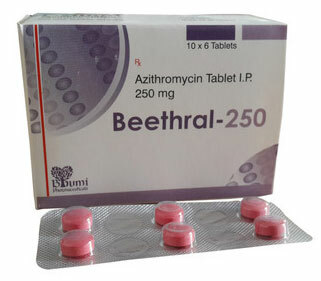 We are one of the progressive Manufacturers, Exporters and Suppliers of Azithromycin Tablets formulated at our W.H.O. G.M.P. and ISO 9000: 2008 certified production facility. 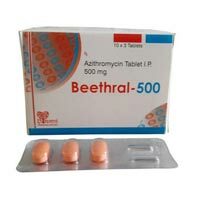 Upper and lower respiratory tract infection, skin and soft tissues infection, Urogenital infections. 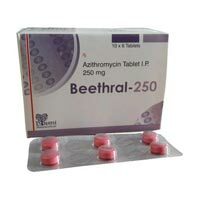 Effectively achieves higher tissue concentration suitable for perinatal infections.